In their book Grandparents Minnesota Style, Mike Link and Kate Crowley provide opportunities for adults and children to spend more time discovering Minnesota together. The book is designed for today’s grandparent who wants to use the time together with their grandchildren to laugh, have fun, create memories, and grow. For the upcoming holiday season Mike and Kate suggest a visit to the Bentleyville Tour of Lights. 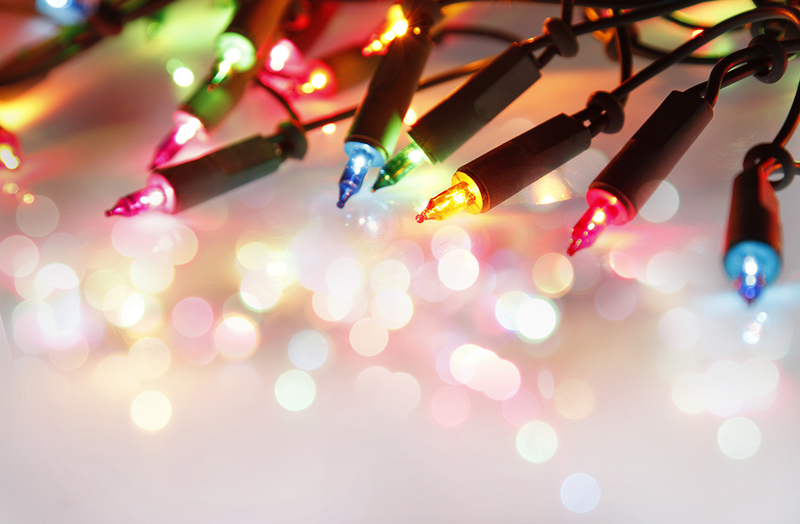 The magic of the holiday season can be encapsulated by a festive display of Christmas lights. People get swept up by those simple, colorful lights; after all, that’s why we tour neighborhoods in search of the best sights, and some areas even give prizes to the fan favorites. 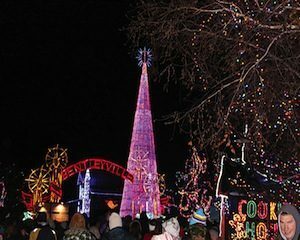 If you love Christmas lights, head to Bentleyville in Duluth. There, you’ll see over 4 million lights and much more: campfires for staying warm, marshmallow roasting and making cocoa, festive music to sing along with, and above all, an atmosphere filled with smiles and laughs. Both young and old will enjoy the holiday magic and Bentleyville’s vibrant trails, which wind like a path through a fantasy land. Rudolph, Santa, and even Mrs. Claus are there to greet the young kids, and the popcorn and cookies are sure to please every age! The Duluth Harbor and the magnificent Aerial Lift Bridge aren’t far away, and they both are lit up and sparkle across the water. Bentleyville is the perfect place to capture photos that will be treasures for future holidays; memories such as these are significant when they are shared, and these visits are worth repeating year after year. If you make repeat visits a tradition, compile a photo album of each one; that way, you can capture both the growth of the grandchildren and the changing displays. Bentleyville is open from Thanksgiving week through Christmas. The site also hosts a fireworks display on the day after Christmas (the last day it is open). This adds even more color and excitement to a visit. Bentleyville began as a holiday display at a private home in the town of Esko. In 2001 Nathan Bentley created a lights display that led people to drive by his house. Not content to just switch up the display, he changed it to a walk-through event in 2003. In 2004 the family moved to Duluth; Nathan added fires and cookies and soon had 72,000 people coming to see the display. But that created its own problems: parking, traffic, and so on. Thankfully, Mayor Don Ness stepped in and the celebration became a community event at its new home. The lesson is clear: If we share happiness with others, then we can truly change our little corner of the world. On Friday and Saturday evenings you can ride the Christmas City Express Train from Fitger’s to Bentleyville. Draped in Christmas lights and full of holiday fun, catching a ride on the Christmas train makes a visit to Bentleyville even more magical. Duluth Bayfront Park, Bentleyville Office, 4313 Haines Road, Duluth, MN 55811. Visit the Bentley Village website and the Bentleyville Train ride site. St. Olaf Christmas Festival, Northfield.